The City of Boroondara is home to more than 25,500 businesses which contribute to our City’s vibrancy, liveability and character. To support the long-term sustainability of the small business sector in Boroondara, we piloted a grants program last year - the Small Business Sparks grants - to help fund development of new local product or service offerings, or introduce new technologies and processes. 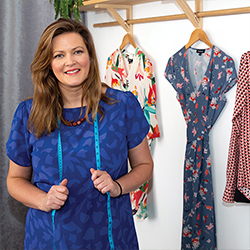 Applications for the 2019 Small Business Sparks grants program are now open. Apply today. Five local businesses received funding for their projects. 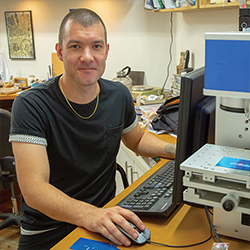 APS Jewellery received a grant to purchase new equipment and to provide customers with an ample variety of jewellery designs. Owner Paul Stewart said the grant has given him the opportunity to create and produce pieces in-house, something that until now had been outsourced. The grant has made my business more efficient. It has also enabled me to add services for my clients that were otherwise impossible. I can now provide a more personal service and faster turnarounds than ever before. Four Rascals Coffee received a grant to go towards building a unique, refrigeration and mobile unit, to bring cold brew coffee to its customers. Richard Askin, barista and co-owner of the business, said the grant helped to make their dream come true. 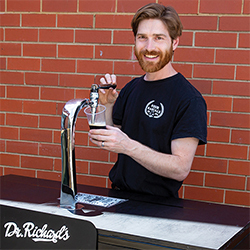 The Sparks Grant has given us an opportunity to try new ways to offer cold brew coffee to our clients. We hope that in using the new equipment, we will be able to get our product out to the public and help grow its awareness and popularity. 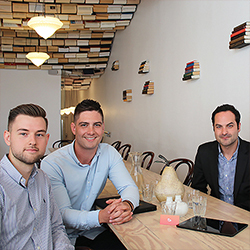 Bindr.com.au is an evolving and dynamic online recruiting platform that supports new business opportunities by connecting local employers with jobseekers. Co-founder Jeremy Chaves said the grant has significantly helped his business. Thanks to the grant, I have been able to add a new social feature to our website. This feature will help build mutually beneficial relationships between employers and prospective local staff, enhance prosperity and drive the sustainability of the local economy. 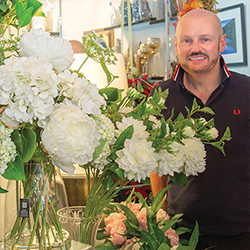 Panache Flowers received a grant to extend its premises to better accommodate the growing demands of Hawthorn its customers. Richard Eden, owner of Panache Flowers, said the grant has been a great help. The shop renovation is now complete and we have the infrastructure needed to meet our customers’ demand for floral workshops. We’re excited about our new 2019 floral art classes, which will offer pansy classes, corporate and hen’s party workshops, and tropical flower arrangements. TAHLO is a specialty boutique that offers made-to-order garments for women. The business received a grant to purchase a new sample range for petite women to try on. The owner Sophie Hose said the grant has enabled her business to fill a current gap in the market. I am grateful for the grant as we now can look after an underserved market of petite women who find it difficult to find business attire to fit. This will let us grow our business further as well as help to build a stronger local business community in general by expanding our retail offering.